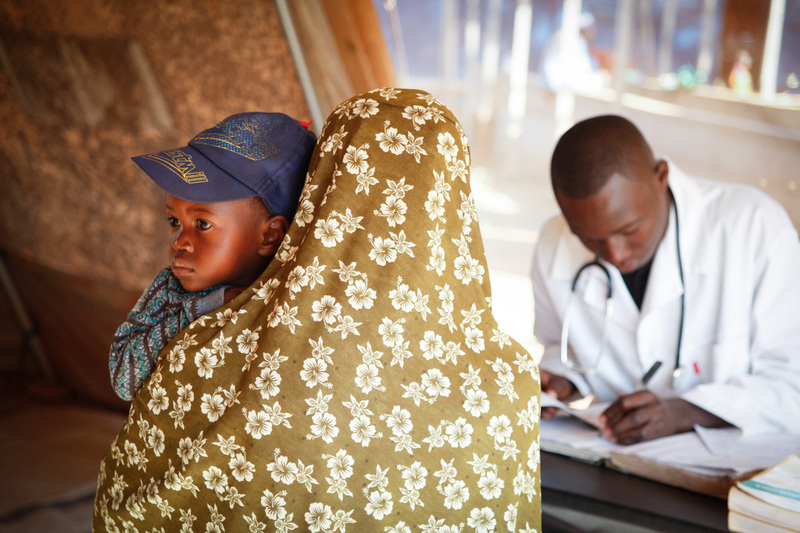 For most of the six months that I was in Bria, Dr. Justin was our project’s “MedRef” – aka head doctor. 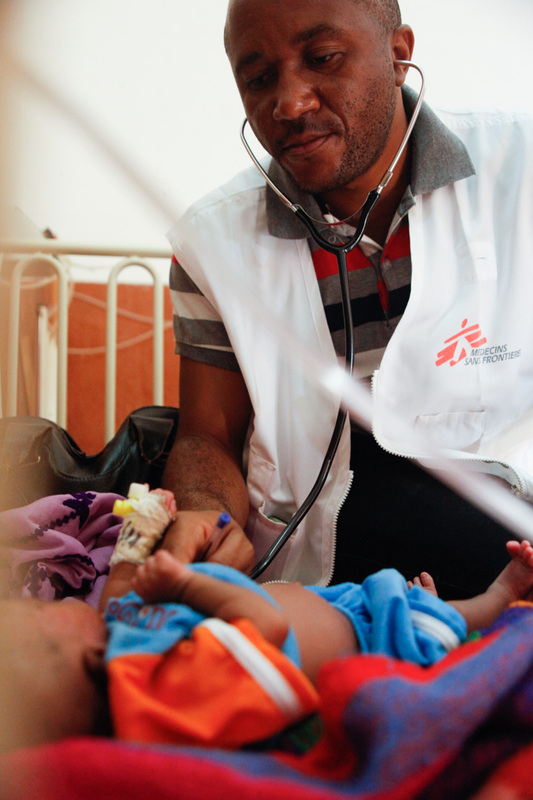 The medecin referent is the person who holds the most senior medical position in an MSF project. 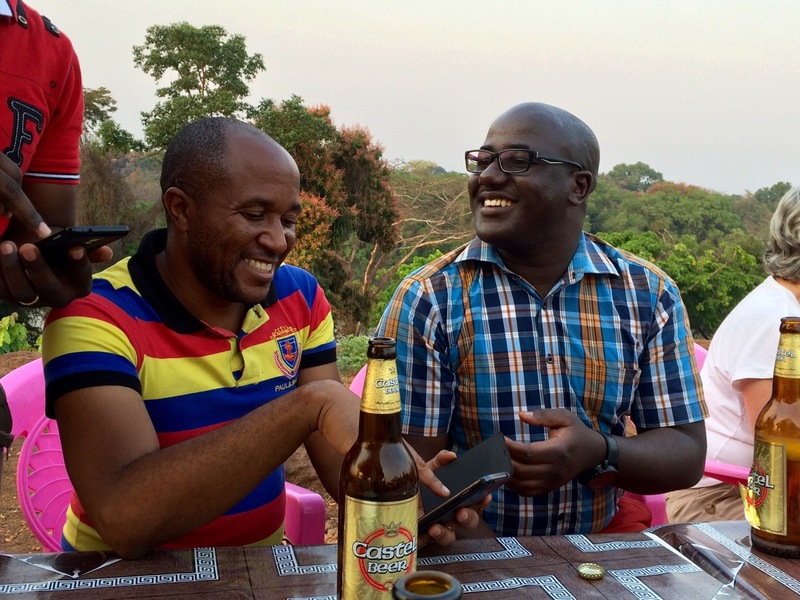 Justin is a Congolese expat and introduced me to the wonderful world of Congolese music. We always had it on in the house and he gave me 100s of songs to take home. He and I also had some heated debates about the state of the world and what’s possible (Peace? Yes, I say! No, he says!) With Justin, I’ve never watched so much soccer in my life. 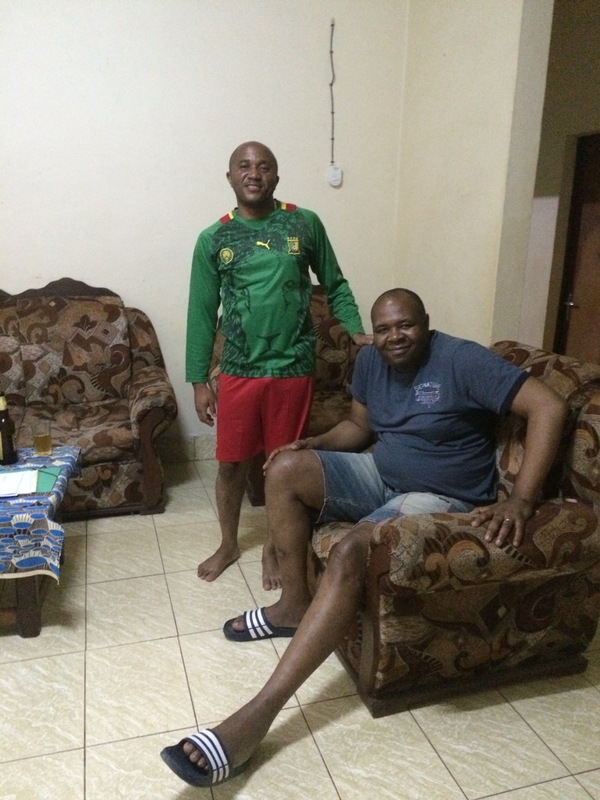 Here’s Justin in his favorite Cameroonian soccer jersey with the expat doctor, Leopold. I’m standing in front of the TV taking the photo, so I made it quick! 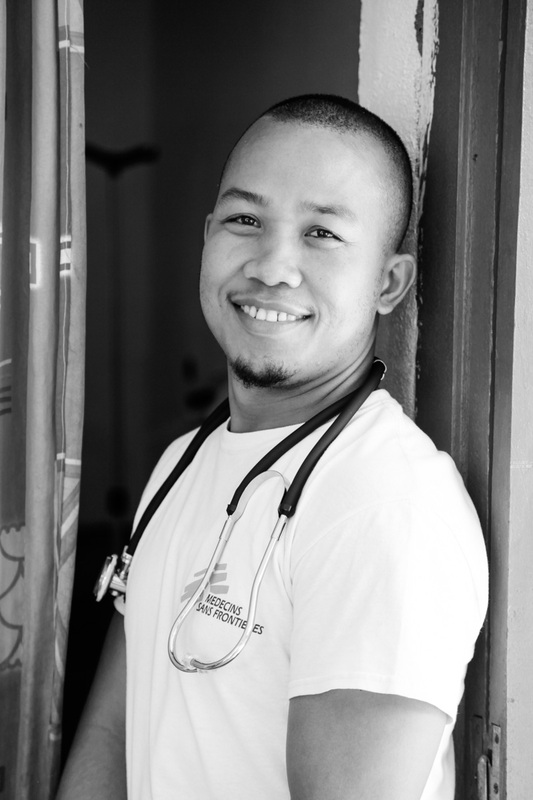 Dr. Marius started working with MSF 5 years ago on another project and joined the team in Bria about 2 years ago. He is Central African and is what we called “delocalized”. 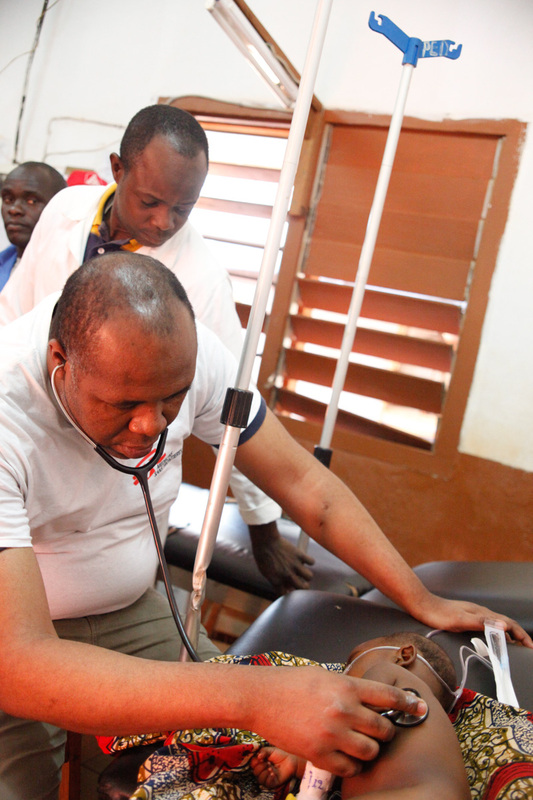 He left his home in the capital, Bangui, to live and work in Bria at our hospital. From the very first day I arrived in Bria, Dr. Marius was super friendly. He would always try to practice his English with me. Dr. Marius examines a patient. Dr. Marius consults with MedRef, Dr. Justin, on the best course of treatment for the patient. Dr. Johnny was born in Madagascar and has lived in CAR for over 14 years. 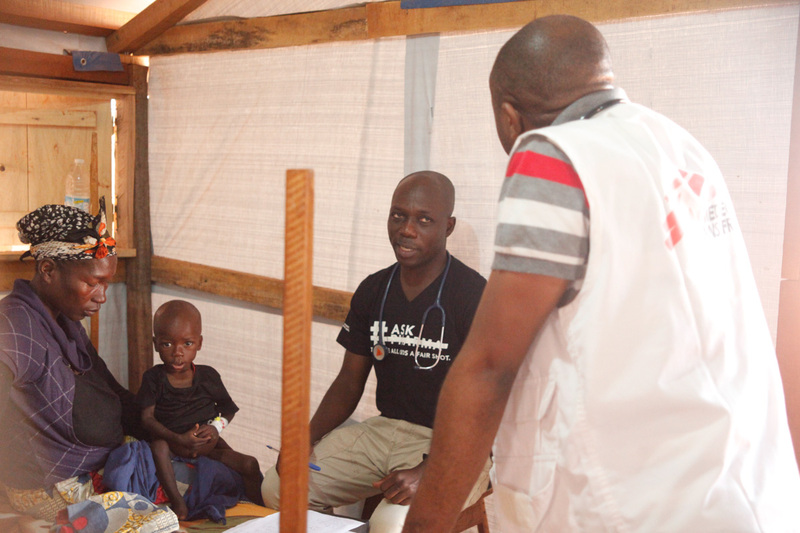 He spent about 10 days with us in Bria to help cover a gap but normally works in Paoua where MSF has another project. He had spent 6 months in Bria at another point, so he already knew everyone. Johnny has a very calm spirit with a constant smile on his face. One night when he was with us, we put on some music and everyone danced in the living room. 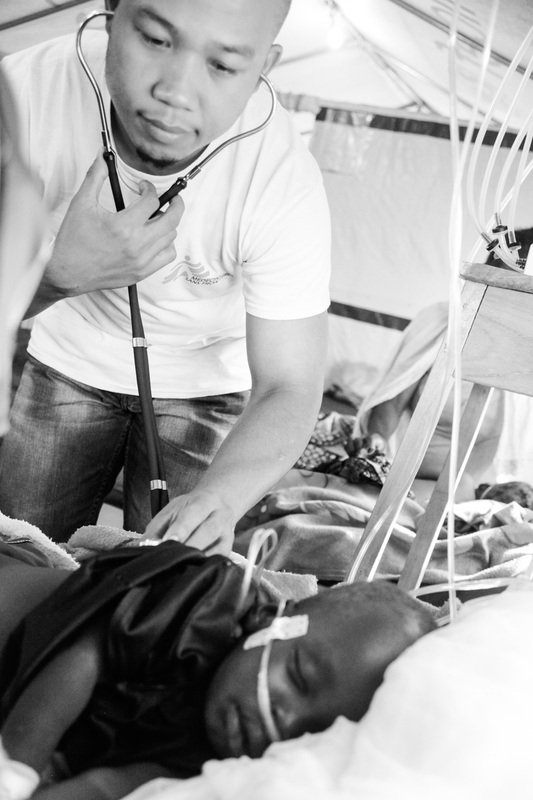 Dr. Johnny examines a child in the intensive care unit. Dr. Johnny, always with an easy smile on his face. Dr. Abdon is a recent grad who joined us in Bria for a few months. He arrived with a positive attitude, always willing to learn with a lot of enthusiasm. When he first arrived, he spent a lot of time in the outpatient department doing consultations since we were short-handed for a while. Dr. Abdon consults with a patient in the outpatient department (OPD). 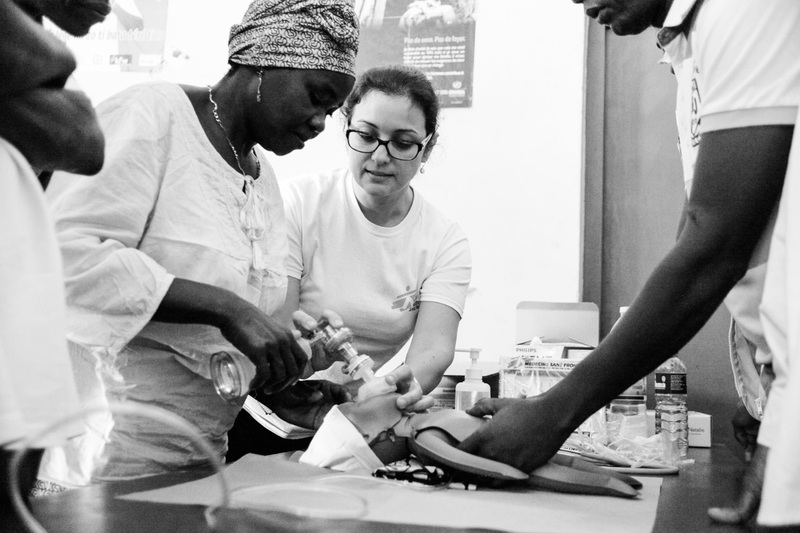 Dr. Rosanna, an Italian pediatrician, is making a tour of all three field projects that MSF-France runs in Central African Republic (CAR). She started with Bria and spent seven weeks with us. It was an absolute joy having her around. Rosanna brought a lot of improvements to our project, especially in the care and cleanliness of the neonatal intensive care unit. Rosanna helped run an intensive, all-day training on neonatal care and treatment. Here, the team uses “NeoNatalie” to practice reanimation of an infant. 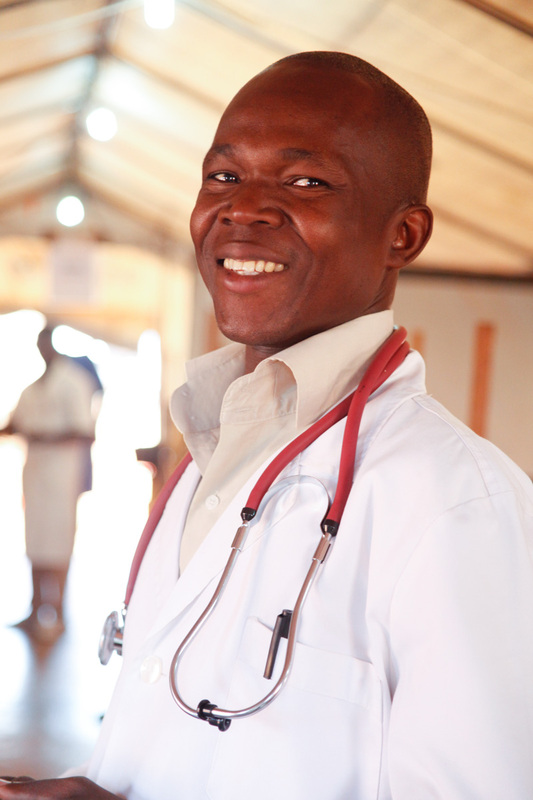 Dr. Leopold is a Cameroon-born, Canadian doctor doing his first mission with MSF. It is so hysterical because he’s 6’ tall, maybe 225 lbs. and for Americans, this is normal. It’s not hugely tall. Well, in CAR, he is a giant. 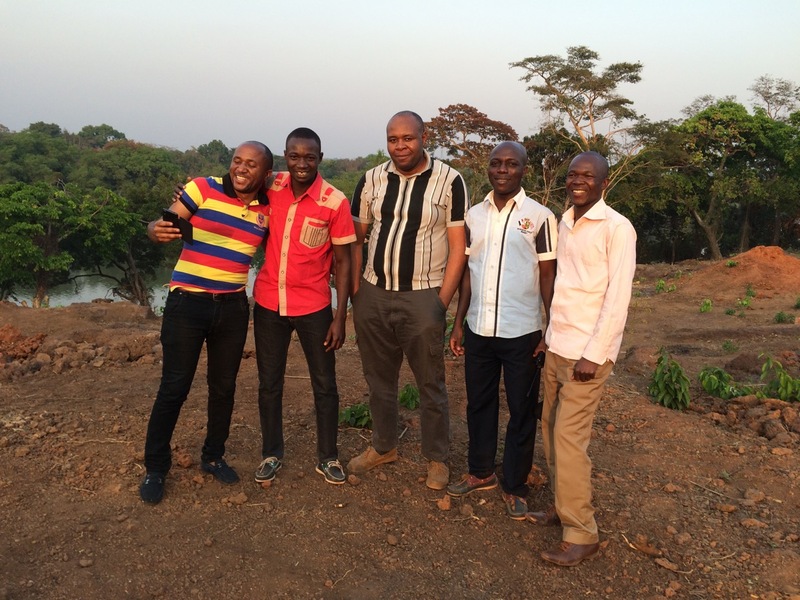 I would say most Central African and Congolese men I met were all 5’9” and under. Everyone would comment on his size which really made me laugh. Leopold would come home every day from the hospital with a lot of fascinating stories to share about what different cases he treated that day. 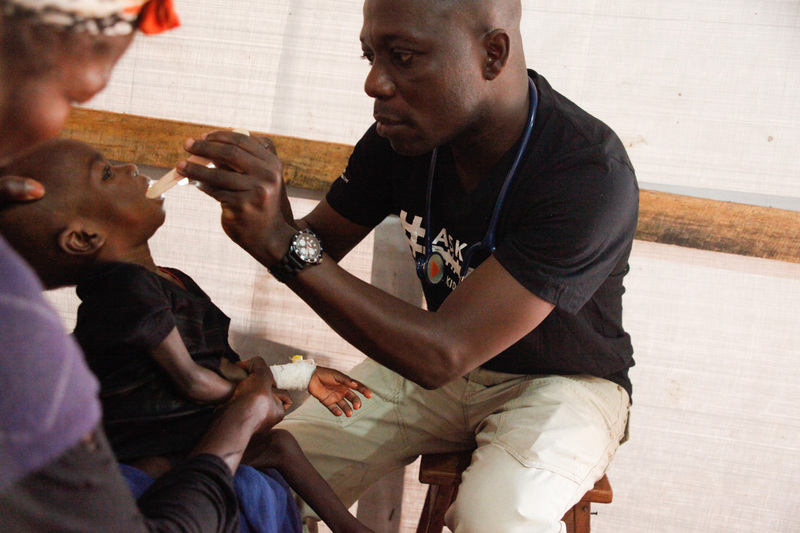 Dr. Leopold examines a child in the emergency room. Dr. Martin arrived two weeks after I did and is leaving a few weeks after me. Over the months we were both in Bria, we became friends and I tried to teach him how to dance. He explained to me that in medical school, he was so busy he never went out dancing (for over 8 years). Then, he finished school and started working for MSF. So, he was always really reluctant to dance. Dr. Martin in the intensive care unit. We had an end-of-mission party for Dr. Justin at a new bar in Bria called Saline Helene. It’s a beautiful location overlooking the Kotto River. I got all of Justin’s doctors together for a farewell shot. Dr. Justin has left the job in the capable hands of Dr. Thierry from Rwanda. Dr. Justin with his replacement, Dr. Thierry, who will take the helm of the Bria ship as MedRef. It was truly an honor to know and work with these doctors who have dedicated their lives to humanitarian work, all of them very far away from their friends and families. Thank you for all your hard work and all the lives you’ve saved and touched!